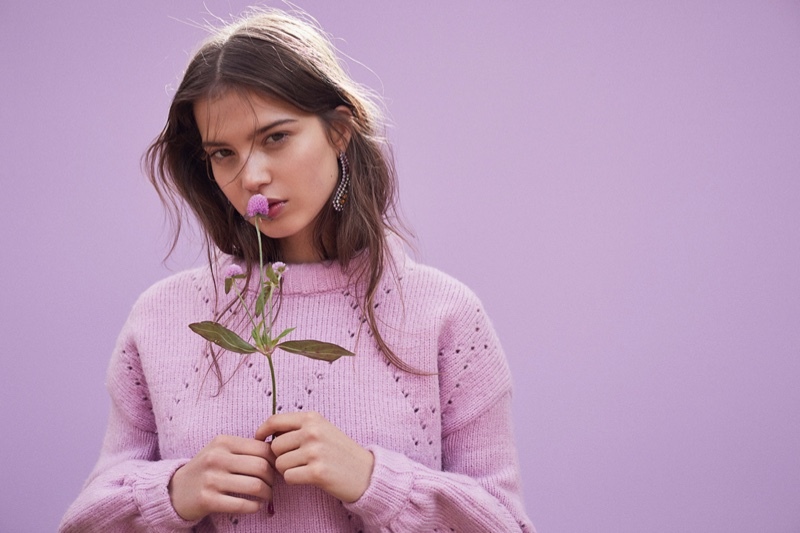 Los Angeles based fashion label For Love & Lemons offers a new selection of knits just in time for the cold weather. Keeping in sync with the trends of cozy wear, the label offers chic and stylish designs of sweaters, cardigans and turtlenecks. From long cardigans to slouchy oversized sweaters and sweater dresses, For Love & Lemons gives ample options that can be worn your way. Along with the neutral black and white, the fashion label also brings forth pretty oranges, pastel pinks and bold purples, making the colour palette quite a versatile one. 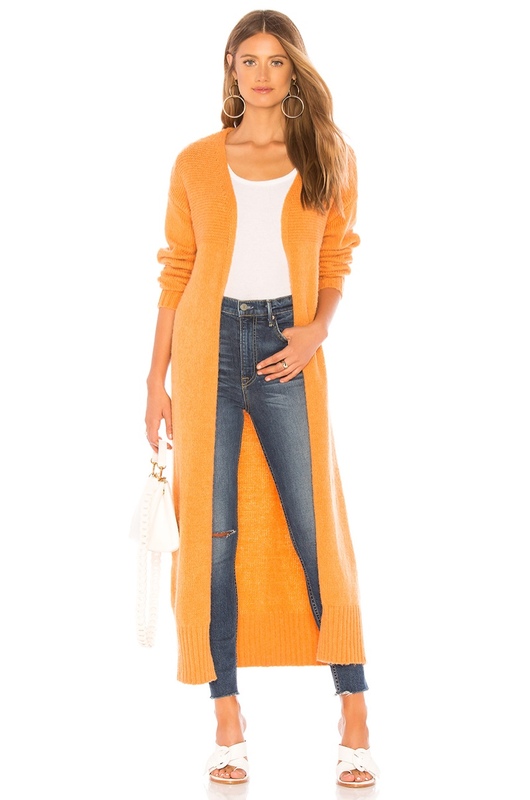 This long cardigan has an open front detail, and is perfect for layering, and has a gorgeous golden orange hue. A lavender shade, with a slightly oversized detail, this sweater comes with slouchy sleeves. Perfect for date night, this ribbed knit dress has a contrast rose gold zipper with a slit to show off legs. A warm and snugly sweater, in a stunning purple shade. This sweater dress can be worn with or without a belt and has a ribbed knit texture. A striped cardigan with front patch pockets and a button detail. A white turtleneck sweater with a rib knit trim, offering a fold-over neckline.